Giving every student the best possible learning experience must be a top priority for principals. But to do so requires a strong grasp of instructional leadership and a constant drive to get better. It’s a difficult journey and school leaders often struggle with finding a clear path on how to take their practice to another level. In this webinar, CEL Associate Director June Rimmer shares six key strategies for improving instructional leadership practice and she introduces the 4D™ Instructional Leadership Growth Continuum, a new research-based leadership tool that describes what it looks like to improve one’s practice as an instructional leader from a novice level to that of an expert. The webinar includes a sample coaching conversation based on the 4D Growth Continuum. Dr. June Rimmer develops and manages district partnerships committed to building leaders’ expertise in instructional leadership and to transforming central office. 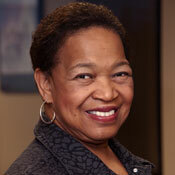 Prior to joining the CEL team, June served in numerous leadership roles in urban education settings most recently as chief academic officer in Seattle. In addition she was part of a research team examining powerful student learning experiences that lead to 21st century skills and competence as well the system-level change needed at both the district and state levels to support 21st century learning. June’s professional interests lie in the design of equity-based instructional systems and building expertise in educators’ practice to ensure that all students, particularly our most vulnerable children, exit our systems able to thrive in our dynamic, interconnected, global community.